Dropping objects in wet and oily conditions is all too common, particularly if you aren't using the best hand protection available. 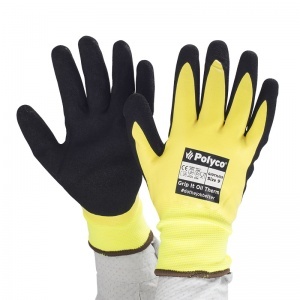 The Polyco Grip It Oil Therm Hi-Vis Waterproof GIOTH Gloves are designed with two layers of nitrile coating. 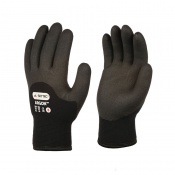 This protects against the infiltration of liquids while also improving your grip in adverse conditions. The product code for these gloves is GIOTH. 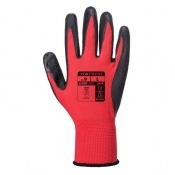 The Therm Hi-Vis GIOTH Gloves have been tested to EN 388, which is the European standard for gauging the glove resistance to a range of physical threats. Please see the table below for a breakdown of the results. 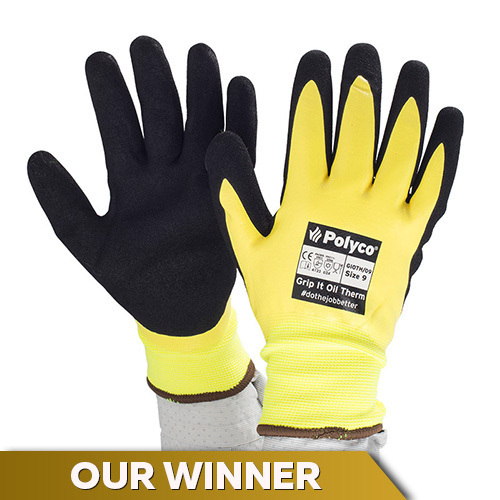 The Polyco Grip It Waterproof Gloves have been tested to EN 511, which is the European standard to gauge how protective the gloves are in cold conditions. Please see the table below for a breakdown of the results. 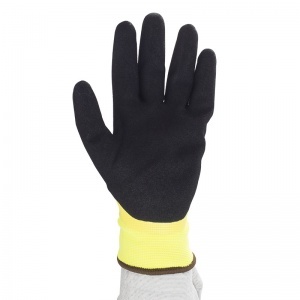 Made with a soft and comfortable thermal liner, the Waterproof GIOTH Gloves are perfect for keeping your hands comfortable while you perform outdoor work. 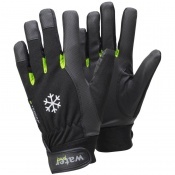 The gloves are also contoured in design to provide you with a more tailored fit. This not only helps you feel more comfortable, but it also offers excellent tactile sensitivity for finer handling tasks. 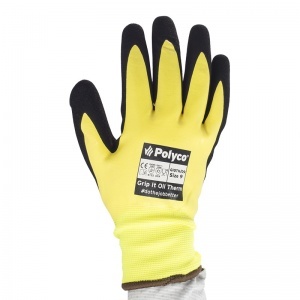 The Polyco Grip It Oil Therm Gloves are available in six different sizes to provide you with a tailored fit. Please refer to the measurements below to find the gloves that are most suited to your requirements.